In recent years, NY Fashion Week runways have slowly begun to become more diverse. But, while some designers are featuring a mix of ethnicities, it is still rare that catwalks will include a range of ages. Even fewer are showcasing models in different shapes or sizes. However, Spring 2017 runways revealed the beginning of a shift in attitude. Several designers made a point to feature models with realistic bodies that actually reflect their customers. Byron Lars recent hosted a conversation on body diversity with top influencers in full figured fashion, His NYFW presentation featured both Fall 2016 (ready to buy) and Spring 2017 styles. He showed his collection from sizes 0 to 22. He spent months collaborating with patternmakers, technical designers, plus sized fit models and fans to ensure ALL of his fans could enjoy his impeccable fit and construction. Project Runway champion Christian Siriano made headlines this past summer when he came to the rescue of Ghostbusters star Leslie Jones. The SNL cast member lamented that she could not find a designer to dress her atypical (by Hollywood standards) figure. Siriano stepped in and styled her for the movie premiere. 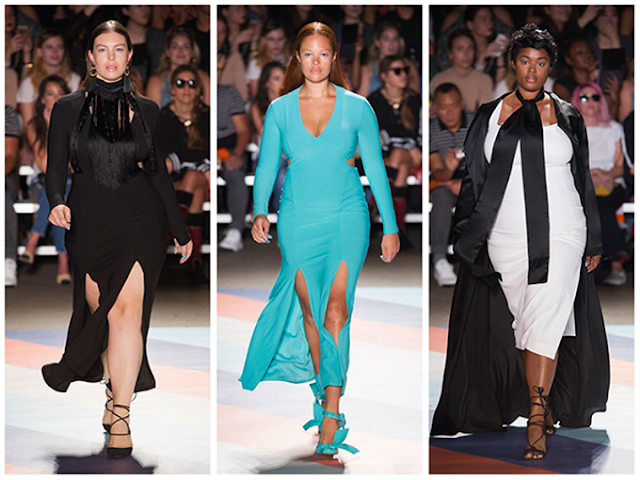 He continued his message of celebrating all sizes by including models of different shapes in his Spring 2017 runway. Project Runway mentor Tim Gunn has also been on a mission to take the fashion industry to task for not acknowledging the reality of their customer base. J. Crew cast their Spring 2017 with their own employees. Who would best represent their collection than the people who worked on it all year? The showcased a wide sampling of people who work for the company, even including bios at the show of each person. It was a wonderful way to pay tribute to the faces, experience and diverse bodies behind the brand. The Chromat runway showed pear-shaped models, muscular Olympic medalists, top-heavy, hourglass figures. The functional and high-fashion collection demonstrated that all body types could look fantastic enjoying fitness. The swimwear dominant collection had pieces that were on-trend with graphic athleisure looks. Designer Becca McCharen-Tran wanted customers to be equally comfortable at the gym and the club. Did you love Archie's comics as a kid? I did, but always thought the depiction of Betty and Veronica's fights over a boy were problematic. The real heroines of those comics were paid tribute to in Rachel Antonoff's Spring 2017 collection. Models of varied sizes modeled whimsical looks inspired both the characters styles and featuring artwork featuring the iconic ladies. 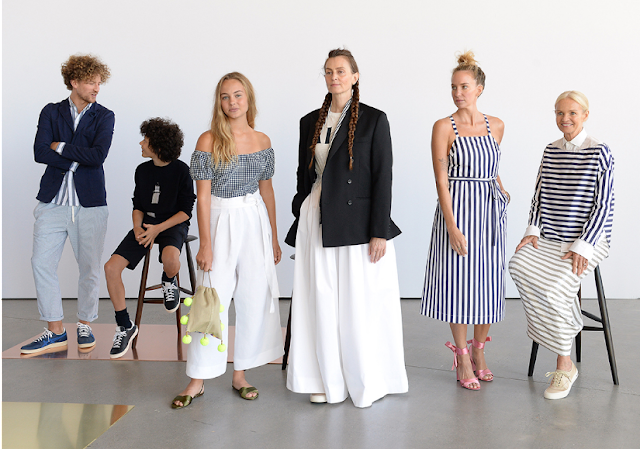 So does seeing models who reflect real people make you more likely to buy from NYFW designers? As a shopper, I am more confident in buying something with less guess work on how it will look on me if I see the garment on someone that looks like me. Is casting real people a trend? Or a tiny step in how fashion week needs to modernize itself?